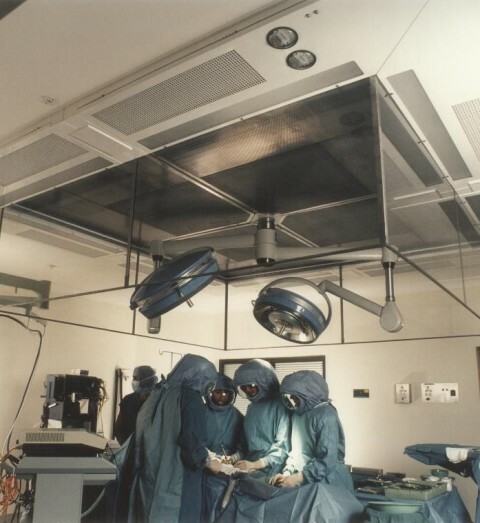 Reducing airborne bacteria in the operating theatre is a vital key to a successful surgery. Now you can cut dramatically the incidence of deep sepsis in orthopaedic surgery, with similar benefits in such fields as neurosurgery and ophthalmology. Previously acceptable levels of up to 500 bacteria-carrying particles per cubic metre are reduced to less than 10 particles by cubic metre by the UCV (Ultra Clean Ventilation) system, with obvious health and financial benefits to your patient and the hospital. 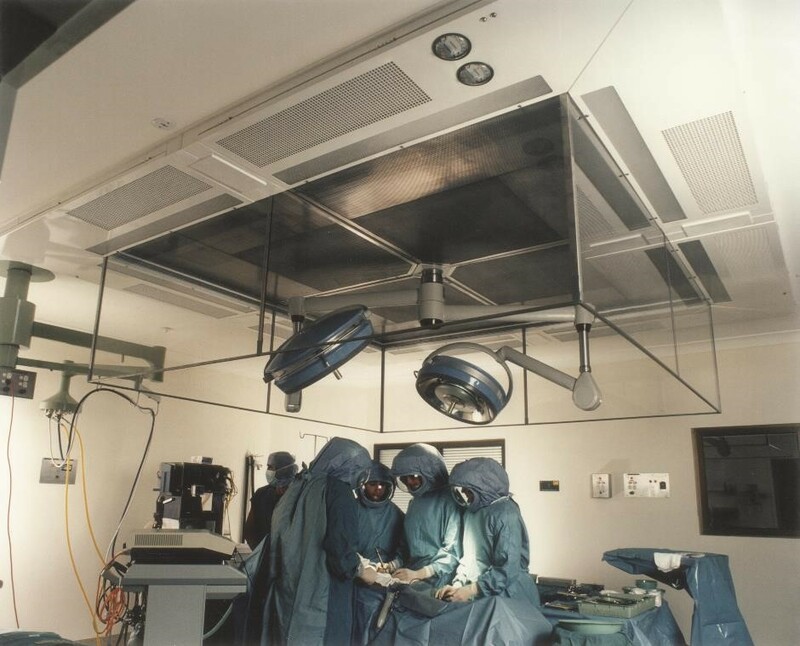 Produced as a modular system by Australia’s leading manufacturer of air filters and laminar flow systems, the UCV is easily retrofitted to the ceiling or within the ceiling void of existing operating theatres.A controlled column of ultra clean air is delivered down over the operating table, your surgical team and their equipment. It then moves radically outwards and up to the return air intakes. Your team has free access to and from the operating zone without the risk of introducing dirty air from outside.